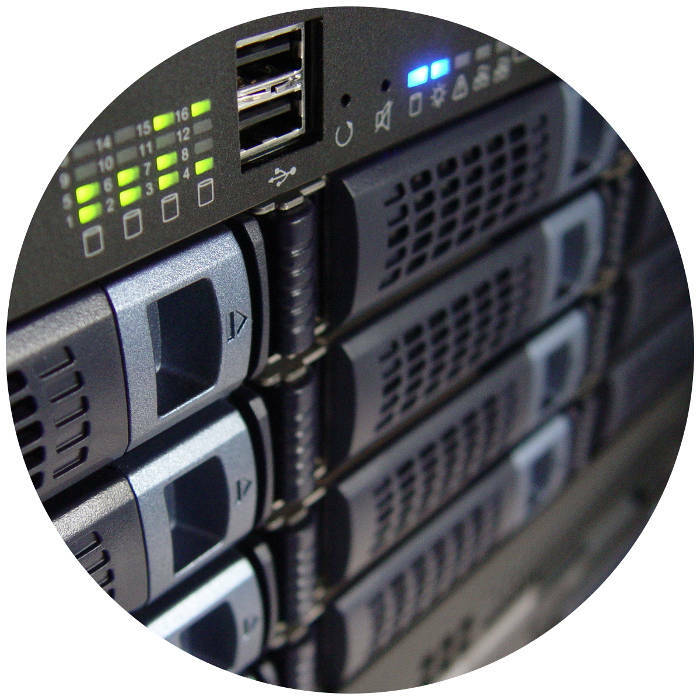 We offer excellent quality web hosting on dedicated servers – your website is hosted on a server with a small amount of other websites, keeping your website fast, no matter what. When a website uses too many resources, it is switched to a less busy webserver. Our web servers are hosted on unlimited 100MBit or 1000MBit connections in France. France is ideal for serving the UK and the rest of Europe due to large fibre connections running through the country. Ever heard of shared web hosting? If you run a website and pay less than five pounds a month for hosting, thats probably what you are using. Essentially a host uses a powerful server and shares the resources with hundreds of clients – sites that use up a lot of resources gradually slow the server down and it loses speed. We have dealt with enough websites using shared web hosting to know that speed matters. It matters to search engines like Google, it matters to you, and more importantly, it matters to your customers – why would they wait ten seconds for your page to load when a competitor will load in two seconds? There are four main types of web hosting currently sold; shared hosting, VPS hosting, dedicated server hosting, and cloud hosting. The links will give you a little bit of information about each, if you’d like to become more familiar with what we offer. JDB Media does things differently. While our hosting is technically shared, we only allow a small amount of clients per webserver – this keeps everything running nice and fast. The amount of clients depends on the type of site – a simple WordPress based website like this one uses a lot less system resources than, for example, a video sharing website. Currently the vast majority of our customers are based in Europe, so we provide web hosting from France or the Netherlands, both of which have very good routing to the majority of mainland Europe. We can arrange for server space anywhere in the world though – please contact us. Got specific hosting requirements? Contact us!